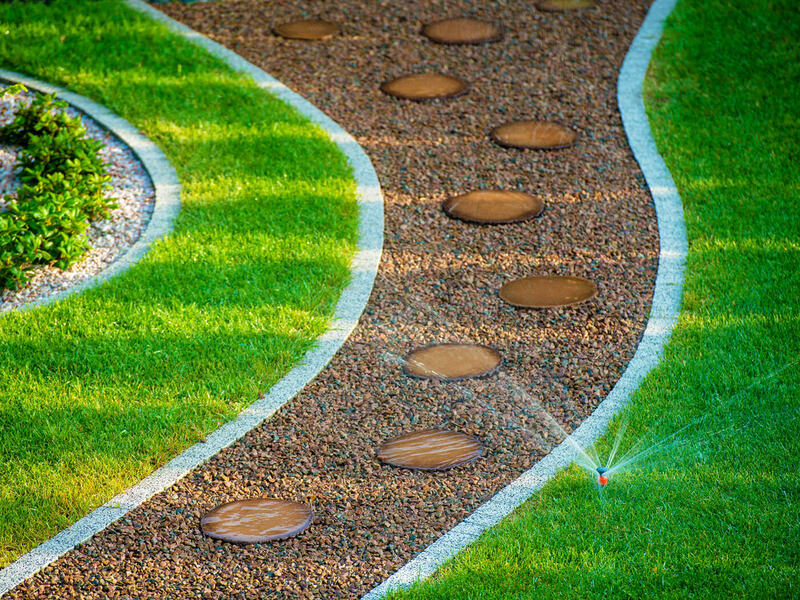 Welcome to Designer Watering Systems: for all your lawn and garden irrigation needs. 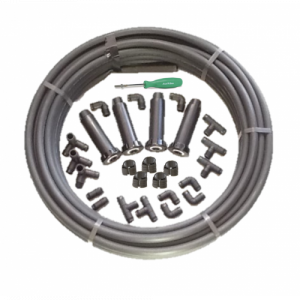 Designer Watering Systems is a leading supplier of garden sprinkler systems and watering kits to keep your garden looking lush, green and healthy. 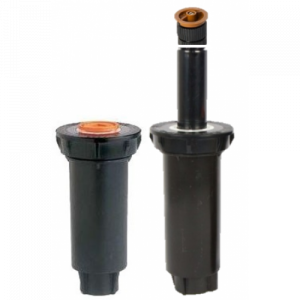 A family owned business established in 1994, we have a store located in Seventeen Mile Rocks in South West Brisbane but supply sprinkler kits and components throughout Australia. 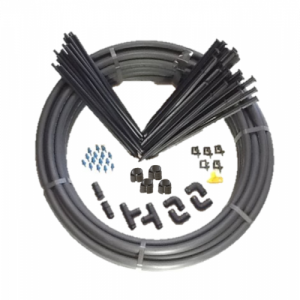 In addition to selling your system components, we can also assist with your Watering System layout, zone breakdown, and parts listing if you require. Give us a call or drop in to discuss turnaround times and costs for this service. 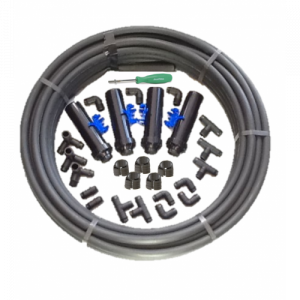 Kit of 0 – 4mt radius Pop-up Sprinklers; Contains 4 x pop-ups with adjustable angle & distance nozzle already fitted, pipe fittings, but no pipe. 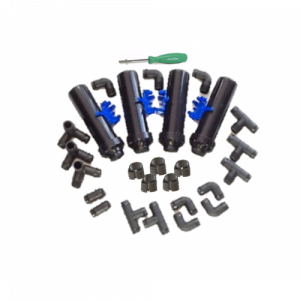 Kit of 0 – 4mt radius Pop-up Sprinklers; Contains 4 x pop-ups with adjustable angle & distance nozzle already fitted, pipe & fittings. 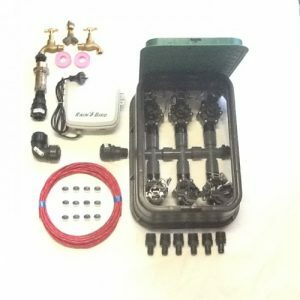 Kit of 4mt – 7mt radius Pop-up Sprinklers; Contains 4 x gear-driven pop-ups, nozzle sets, pipe fittings, but no pipe. 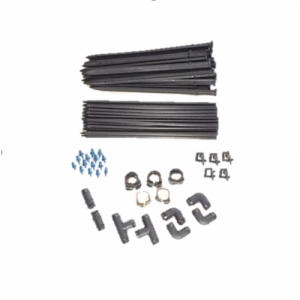 Kit of 4mt – 7mt radius Pop-up Sprinklers; Contains 4 x gear-driven pop-ups, nozzle sets, pipe & fittings. 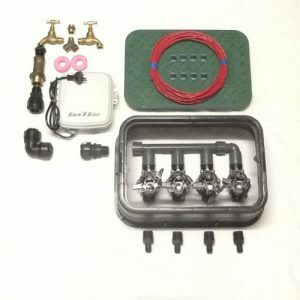 Kit of 7mt – 10mt radius Pop-up Sprinklers; Contains 4 x gear-driven pop-ups (their throw can actually screw all the way down to an ‘Off’ position), nozzle sets, pipe fittings, but no pipe. 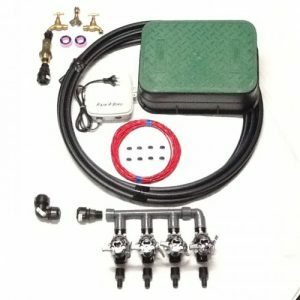 Kit of 7mt – 10mt radius pop-up sprinklers; Contains 4 x gear-driven pop-ups (their throw can actually screw all the way down to an ‘Off’ position), nozzle sets, pipe & fittings. We would love to learn about your outdoor set up and offer advice to help get you started. Please get in touch to learn more. This site has been set up to help you choose sprinklers and components for a standard 19mm system to suit house blocks up to 1200m², with the diagrams on the Components View page being the best information source for your components selection. 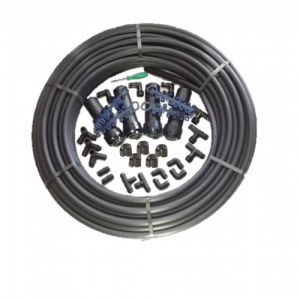 Pop-up Sprinklers ranging from 0 to 10mt radius. 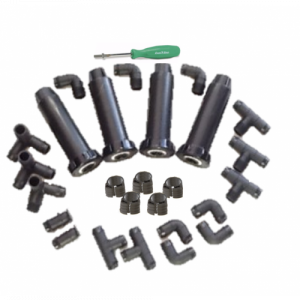 19mm Low Density black poly sprinkler pipe and fittings. 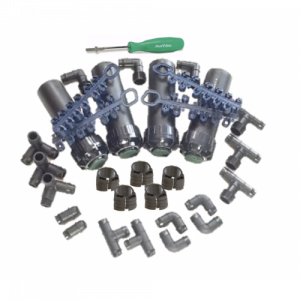 Plus we also keep a range of Pipe, fittings, and Valves from 15mm to 50mm, as well as a selection of Pumps for standard garden hose use through to larger performance for multiple sprinkler residential watering systems. Please also note that for varying reasons our Website Shopping Cart prices can often differ in either direction from our in-store price. We would love to discuss your gardens. 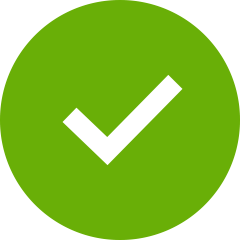 We can also offer design services so you can understand exactly what you need to get started.